The British Army’s Guards Division fought at Loos and Cambrai in the First World War, and at Pilkem and Passchendaele, Arras, Canal Du Nord. 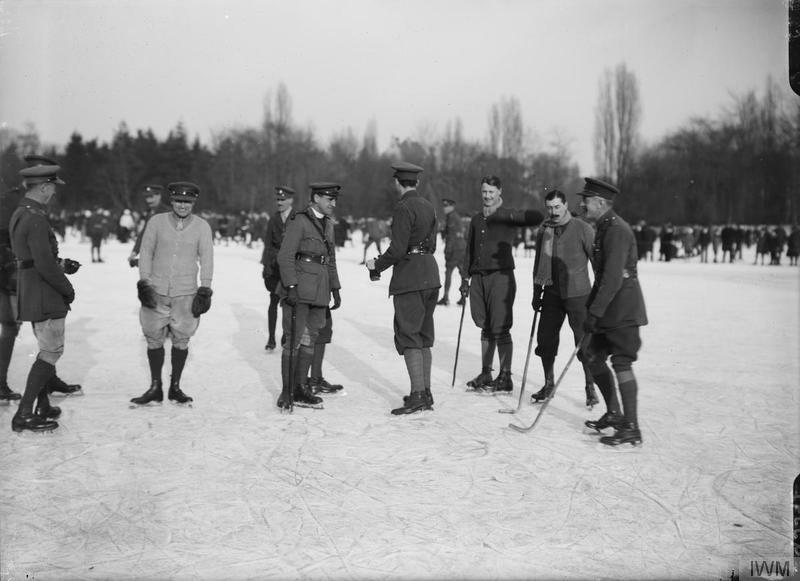 Formed in France in 1915, the Division counted battalions from some of the Army’s elite regiments, Coldstreams and Grenadiers, Scots and Welsh and Irish. 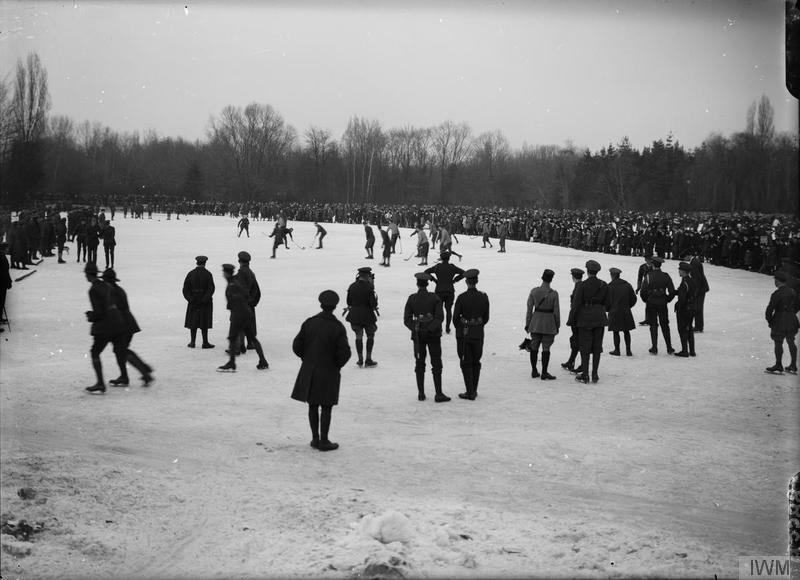 At Armistice in November of 1918 the Division was stationed in and around Maubeuge in France, near the Belgian border. 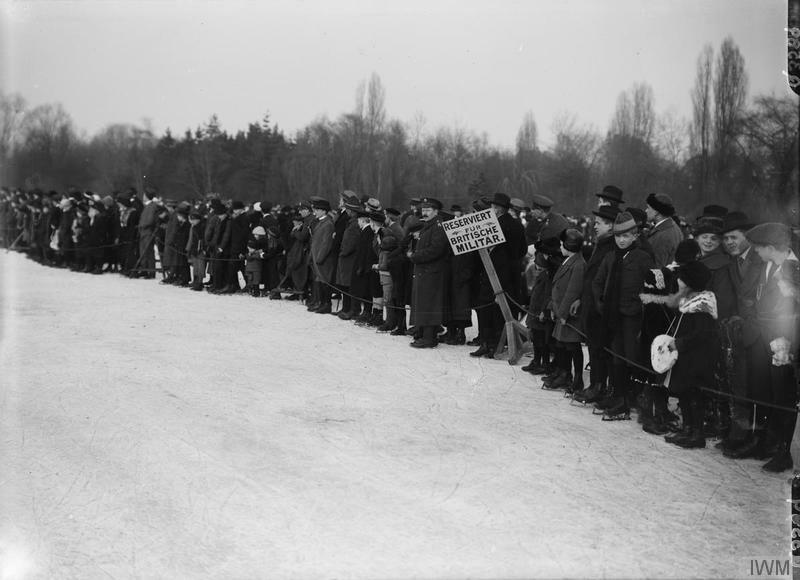 With the war at an end, some units were ordered to Cologne, in Germany, to which they marched — a distance of about 250 kilometres. 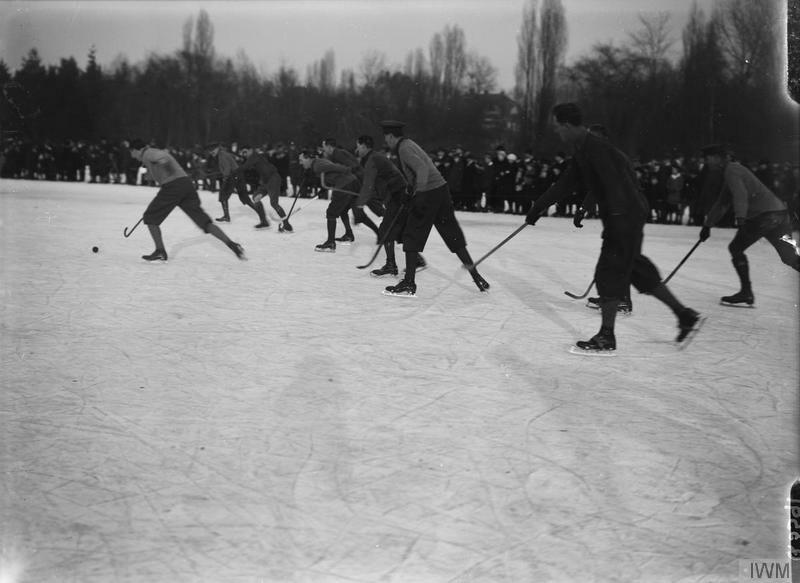 Through Christmas they stayed and on into January, serving with Britain’s occupation force, the Army of the Rhine and … playing some hockey, as depicted here. 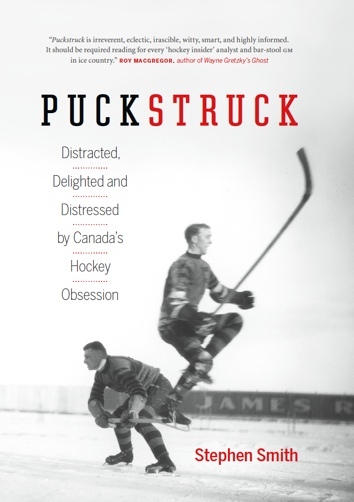 They wanted for proper gear, from the look of things, if not for skates and walking-sticks and all-out enthusiasm. The fans shown in the last photograph are local Germans. By February of 1919 the Division was headed for home. In March the men formed up one last time to parade through the streets of London to Buckingham Palace, where they paid their respects to King George V and Queen Mary in the forecourt. Then they continued down The Mall and up Piccadilly to Hyde Park Corner. This, according to The Guards Magazine. Men who’d been blinded in battle marched with their mates, the newspapers reported, while those too grievously wounded to walk were borne by lorries.